Every Thursday at 5:40pm, we meet in the Community Center of Barnabas for prayer, scripture readings and Holy Communion. 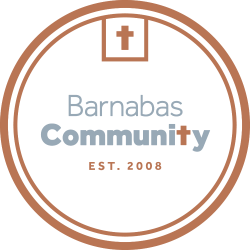 Barnabas is grown from Sheridan Lutheran Church, a congregation of the Evangelical Lutheran Church in America and our worship and community life reflect the beliefs and practices of the ELCA. We have several pastors and lay leaders who lead worship on a rotating basis.